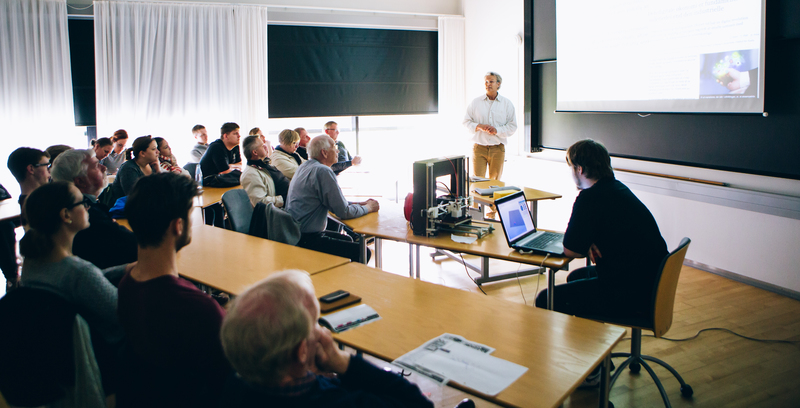 Members of the ISSP Living Technology theme group were present at Forskningens Døgn. Forskningens Døgn is an annual researcher festival in Denmark, with numerous lectures and events, that anyone can attend. At the 2015 installment of the festival, ISSP was represented at the festival by members of Living Technology. In the pictures below, Steen Rasmussen, Director of the Living Technology theme group, can be seen giving a lecture at the festival.